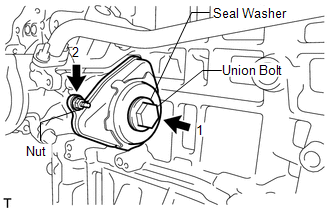 (a) Remove the nut, union bolt, seal washer and oil cooler assembly. 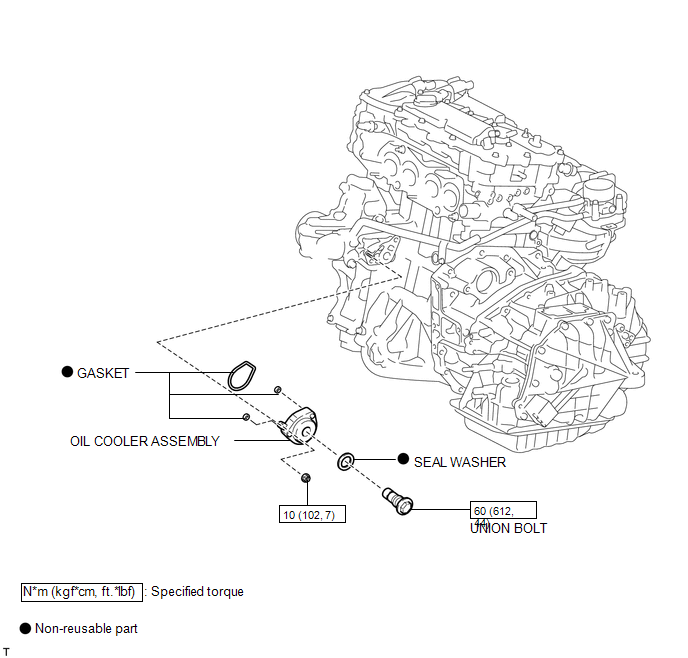 (b) Remove the 3 gaskets from the oil cooler assembly. (a) Visually check the engine oil cooler for cracks or damage. If cracks or damage are found, replace the engine oil cooler. (a) Clean the oil cooler contact surface on the cooler mounting. (b) Apply a light coat of engine oil to 3 new gaskets. (c) Install the 3 new gaskets to the oil cooler assembly. 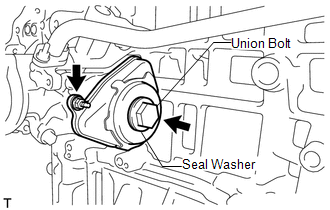 (d) Temporarily install the oil cooler assembly with the union bolt, nut and a new seal washer. (e) Tighten the bolt and nut in several steps, in the sequence shown in the illustration.